I've been dreaming of this island for four years already. It started when I read a blog and somehow it captured my interest to explore the island. In fact, this year (2015), I included it as part of my travel bucket list. And unexpectedly, Red Chuca posted an invite in his facebook and it unfolded. 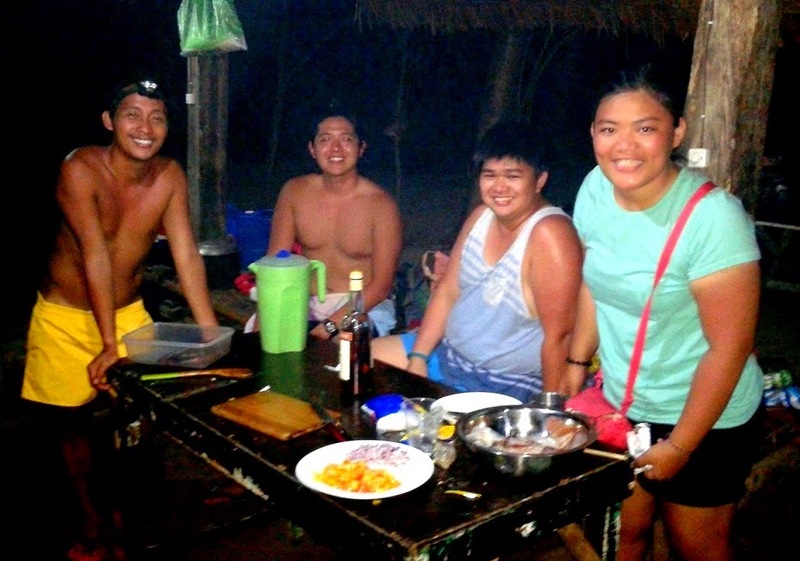 Let me take you back to our adventure in this island called Apo Reef. From Buendia, Pasay or Cubao, ride a bus (either Jam, DLTB or Starex) en route to Batangas City Pier. Travel time from Buendia to Batangas City using the ACTEX route is more or less 2 hours. Alight at Batangas City Pier, then board the RoRo boat to Abra de Ilog. Montenegro Shipping Lines is servicing the route. Fare is P270 and travel time is 3 hours. From Abra de Ilog Port, board either a van or bus to Sablayan Port. Travel time to the port is 2.5 - 3 hours or 124 kilometers (209 kilometers to San Jose). Fare using the van is P220. Alight at Sablayan Market and hire a tricycle ride to Sablayan Port. Fare using the trike is P10. Reaching Sablayan port, hire a boat going to Apo Reef. Rental of the boat is P8,000 -10,000. Travel time is 3 hours. From Visayas, dailysix-hour boat trips from Libertad, Antique to San Jose are available, followed by a two to three hour land trip to Sablayan. Rico and I agreed to meet in Batangas City. I arrived 10:30 pm while Rico arrived a couple of minutes after. We are not new to Red's tour. In fact, this is my 3rd tour and Rico's 2nd tour with Red. But the twist is the fact that we are joining a new group (except for Bianca whom we met in Fortune Island). And that makes the tour exciting since you are going to meet, mingle, and explore with new set of friends. Around 11:40 pm, Red and the rest arrived. We waited until 1 am and bought our ticket for our RoRo ride to Abra de Ilog. We boarded the boat around 2 am. It was not a pleasant ride. I was not able to sleep. But the feeling of excitement compensated for whatever inconvenience I experienced. Upon arrival in Abra de Ilog Port, we boarded the van to Sablayan Port. We took our breakfast in Sablayan market, waited a bit, bought our supplies, and past 10 am, we went towards Sablayan Port. Weather was really nice that day while we were boarding the boat. We traveled from Manila to Batangas City Pier for 2 hours. We traveled and endured the RoRo boat for 3 hours. We traveled from Abra de Ilog to Sablayan Port for 2 hours. We waited for 3 hours. There is no stopping us now! On with the journey to Apo Reef! And after 3 hours, we passed Pinanggaan Island and Apo Reef was within sight. Apo Reef is the largest atoll-like reef in Asia. It is a 29 hectare of white sand island and is the favorite nesting grounds for hawksbill and green sea turtles. There are other two islets which are favorite spots for migrating birds. But for tourists, it is the favorite site for snorkeling and diving. It was already past 1 pm when we arrived at the island. We did not mind our late lunch. We are in Apo Reef. Red and Dolly immediately fixed our lunch. While the rest was busy pitching their tent and taking souvenir pictures. Past 2 pm, we were able to take our lunch. Thanks to Red and the group's concerted effort of preparing lunch. After eating lunch, I immediately went to the lighthouse. Our tour guide "Mang Jojo" conveyed that the group will proceed to the lighthouse at around 5 pm. But I did not have the luxury of waiting, I went alone. After 10 minutes of walking, I reached the Apo Reef Lighthouse. The sun was about to set, it was past 5 pm and I immediately climbed the ladder towards the top of the lighthouse. From the top of the lighthouse, you can see Coron, Palawan. From Apo Reef, Coron be reached by boat within 3 hours. From San Jose, Occidental Mindoro, the boat ride to Coron is 8 hours. The Apo Reef lighthouse gives you a 360 degree view of the entire island. This is the best spot to watch the sunset and to have an aerial view of the lagoon. Around 5:30 pm, the rest of the group arrived. Rico, Earl, Jireh and Dana took their respective souvenir pictures. And we watched the sunset. I did not wait for the entire sunset. I descended and headed back to the camping site. I played a bit of beach volleyball with Rod and Neil and afterwards, proceeded to the kitchen. Red, Max, Joshua, Dolly and I started our drinking spree while Red was busy cooking our dinner. They prepared a very sumptuous and mouth-watering dinner consisting of grilled pork, grilled squid, grilled fish and some veggies! Past 7 pm, the inevitable happened. It's dinner time! 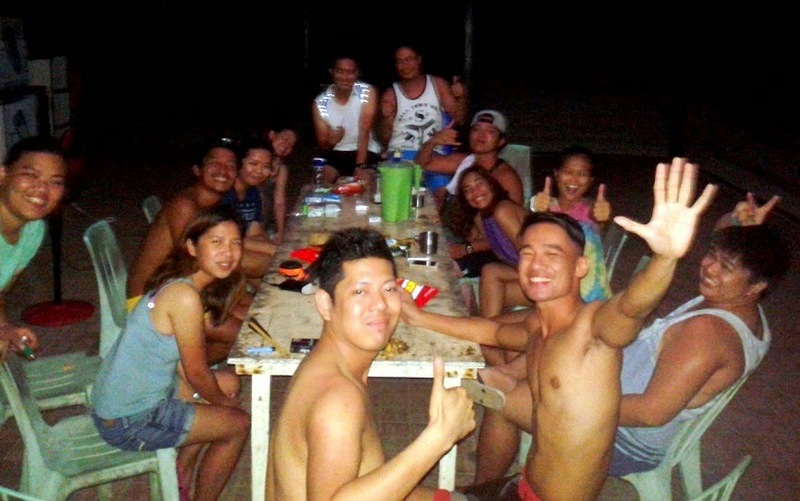 After dinner, we continued with our drinking spree of Emperador light. But this time, the rest joined the spree. While we were drinking, we played our favorite game connect the word. We were having the best time of our lives! Around 5 am, I woke up and saw the enchanting and captivating horizon unfolding in the midst of the tranquility in Apo Reef. Behold the sunrise in Apo Reef. After the sunrise, I took a bath and headed towards the lagoon. Good thing Rod was ready for the adventure and we headed to our destination. Rod led the way to the lagoon. We even crossed a bamboo bridge in order to reach the lagoon. And after 10 minutes, we reached the Lagoon. After a couple of minutes, the rest of the group arrived with Mang Jojo. Mang Jojo retrieved the bamboo raft for our ride in the lagoon. From the lagoon, you can see the lighthouse. The tour was good for 15-20 minutes. The boat ride was a bit slow. But we did not mind. We were enjoying the cruise. We took our souvenir pictures along the way. We alighted at the opposite end and headed back to the camp for our breakfast. While heading back, we passed the Apo Reef Natural Park Protected Area Office. We took our breakfast, packed, cleaned the area and again, took our souvenir pictures. Past 9 am, we were boarding the boat for our snorkeling adventure. Within a few minutes, we were enjoying it! 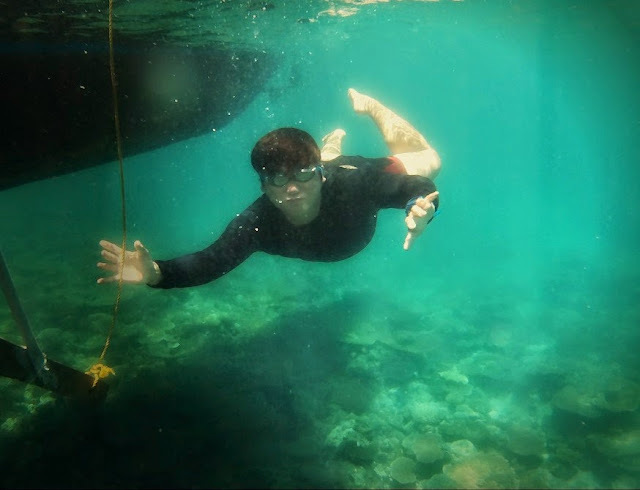 After 30 minutes, we transferred to the nearby island called Pinanggaan Island and continued our snorkeling adventure. After our snorkeling experience, we headed back to Sablayan Port. But along the way, we encountered DOLPHINS! Yup! and there were 6-8 dolphins swimming and playing around with us. We were shouting at the top of our lungs and the others whistling to attract the dolphins. We played another set of games along the way back and we were not mindful that time flew. After more than 2 hours, we arrived at Pandan Island. 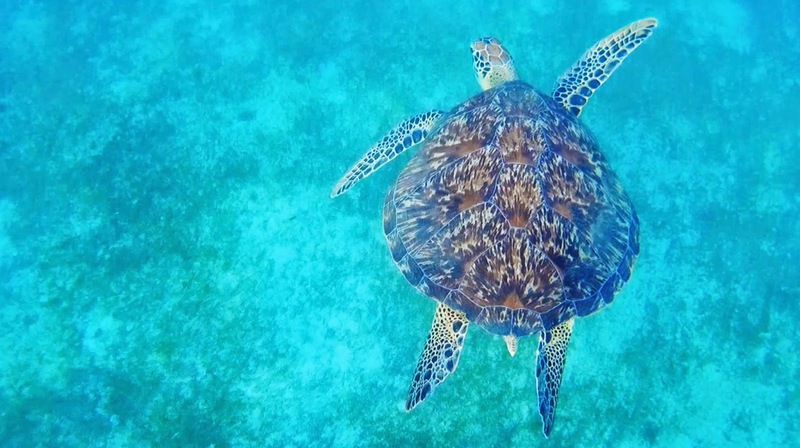 Pandan island is the nearest tourist spot in Sablayan and is known for its Sea Turtle or Pawikans! It is a tropical island retreat and one of the top resorts in the Philippines. The island can be reached by a twenty-minute boat ride from Sablayan mainland. We took our late lunch in the island. After eating, we had our pawikan encounter! On my part, I was able to see/encounter 3 pawikans. After 1 hour, we headed back to Sablayan Port and fixed ourselves. Around 7 pm, we boarded the van to Abra de Ilog. And by stroke of luck, we had a flat tire!! It was already 8:30 pm when it was finally done replacing. The RoRo ride was slated 10 pm. Oops, I thought we'd missed it! We arrived 10:20 and the RoRo was set to leave at exactly 10:30 pm. WE definitely enjoyed Apo Reef! Yes, I am into waterfalls chasing! And I've been doing it for the past ten years. Last April 2015, I was given the chance to have this feat in Cebu for four days. And this blog includes both the falls that I visited and the ones that I missed. Board a flight to Cebu. Arriving in Cebu, go to South Bus Terminal in Cebu. There are different bus companies that you can choose from but Ceres has always been my choice. Board a Ceres bus going to Bato via Barili (there is another one Oslob via Barili but it is longer in route). Bus leaves every hour (4 am, 5 am, 6 am, 7 am onwards until 5 pm). Travel time is 1 hour and 45 minutes or 60 kilometers. Better go early in the morning to vaoid the traffic in Cebu City. Fare is around P80. Alight at Shamrock Bus Terminal (bus usually stops at 7-11 in Barili). Hire a habal-habal to the site for P30 (one-way) or P50 (round trip). Better hire the habal-habal for a round trip ride unless you intend to stay long in the falls. 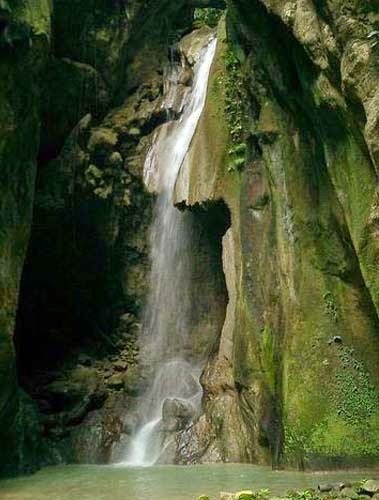 Travel time to the falls is 10 minutes or 4 kilometers. Board a flight to Cebu. Arriving in Cebu, go to South Bus Terminal in Cebu. There are different bus companies that you can choose from but Ceres has always been my choice. Board a Ceres bus going to Bato via Barili (there is another one, Oslob via Barili but it is longer in route). Bus leaves every hour (4 am, 5 am, 6 am, 7 am onwards until 5 pm). Travel time to Moalboal is 2.5 - 3 hours or 89 kilometers. Fare is P118 (aircon). Arriving in Moalboal, hire a habal-habal to Batad Batad Falls. Board a Ceres bus to Bato via Barili. Fare is P47. Travel time is more or less an hour or 28 kilometers. Board a bus (preferably, Ceres) with the signboard Bato via Barili. Cebu City to Samboan is 143 kilometers. 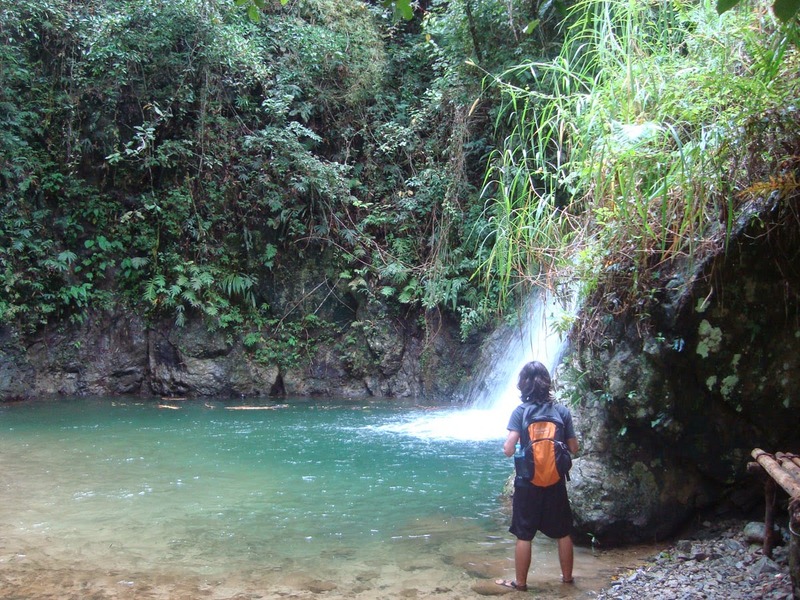 Alight at the town of Samboan and hire a habal-habal to the the falls. Board a bus (preferably, Ceres) with the signboard Bato via Barili. Cebu City to Samboan is 143 kilometers. 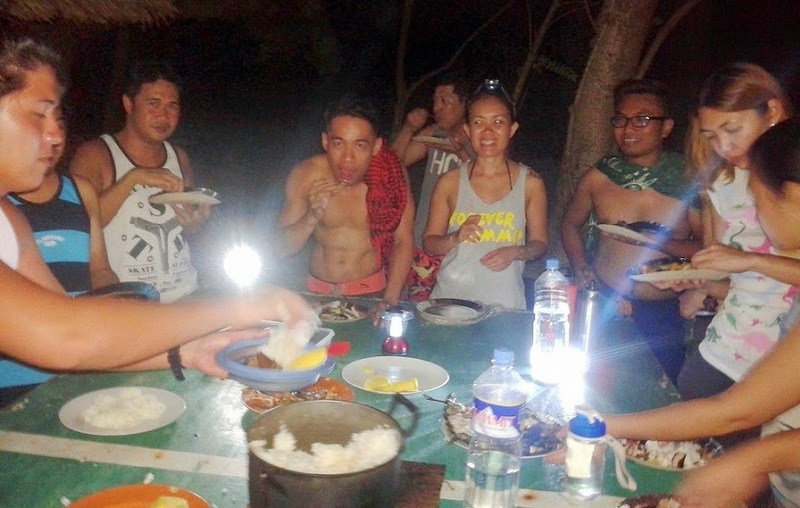 Alight at the town of Samboan in Barangay Tangbo. Board a flight to Cebu. Arriving in Cebu airport, get a taxi or any any ride to North Bus Terminal. In the terminal, you can board any bus bound north. Travel time is 1 hour and 15 minutes to Carmen. It is 41 kilometers from the terminal and the fare in a non-aircon bus is only P50. You can also board a mini-bus directly going to Carmen. 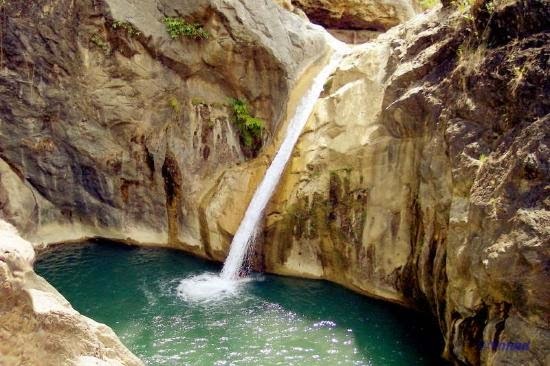 Alight at the marketplace of Carmen and hire a habal-habal ride to the falls. Travel time to the falls is 15 minutes and the fare is P80 (round trip). You will reach the jump-off point (a water factory) and then trek for 5 minutes only. 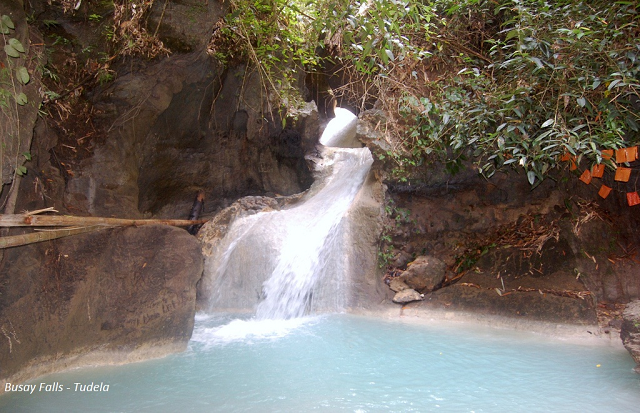 According to one blog that I read, there are a total of 41 falls in Cebu! And that means, I have visited only a quarter of the falls in Cebu.